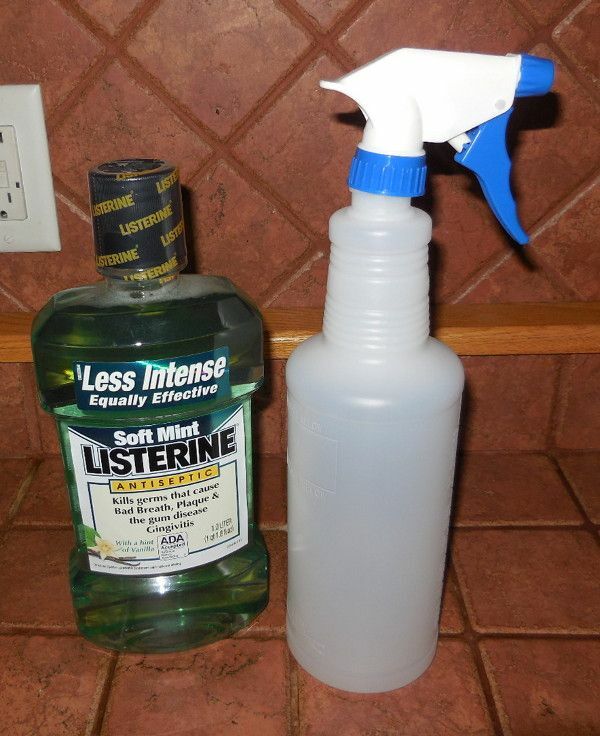 Listerine, a well-known brand of mouthwash, was originally developed as a surgical antiseptic. It's excellent disinfecting and cleaning qualities make it good for more than simply swishing and spitting. You can use it in many creative ways. 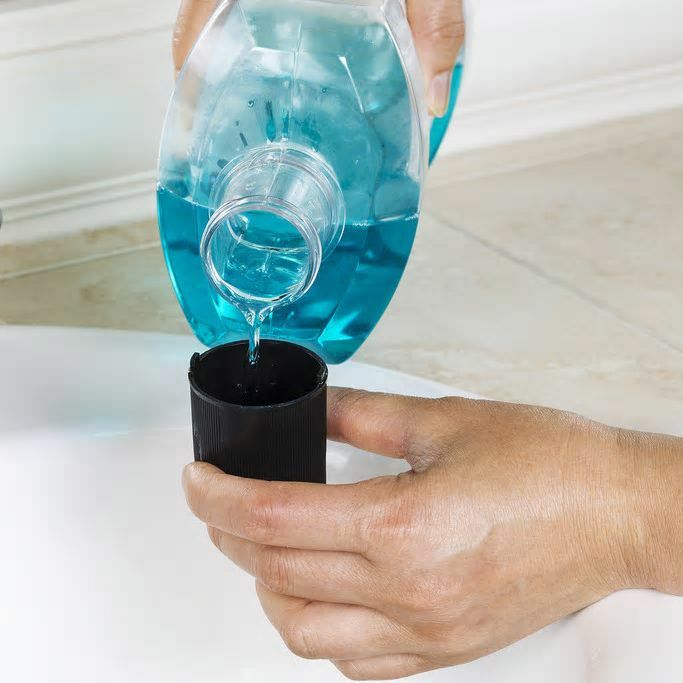 With these 10 mouthwash hacks, you won't have to go any further than your medicine cabinet to find a multipurpose solution for many household dilemmas. Saving time and money while being minty fresh is always a good idea! Out of deodorant? Well, forget just trying not to sweat. Dabbing mouthwash under your arms can kill odor-causing bacteria and keep you from smelling anything but fresh. Acne can pop up out of nowhere. If you ever find yourself with a spot and nothing to treat it, just grab the mouthwash. This DIY acne treatment works to both disinfect and dry out the blemish area. Just apply to clean skin using a cotton ball. Dandruff can be embarrassing, but often the shampoos and treatments leave your hair dry and scalp itchy. Listerine mouthwash is a great pre-shampoo treatment to freshen your scalp and eliminate dandruff. Just apply to your scalp and let rest for 15 minutes before shampooing as normal. You put it in your mouth multiple times every single day, but have you ever thought of sanitizing it? All it takes is a 30-second swish in mouthwash to disinfect your toothbrush. This is an especially healthy habit to form in cold and flu season. It seems just strange to need to clean something that you use to clean something, but your washing machine does actually get dirty. 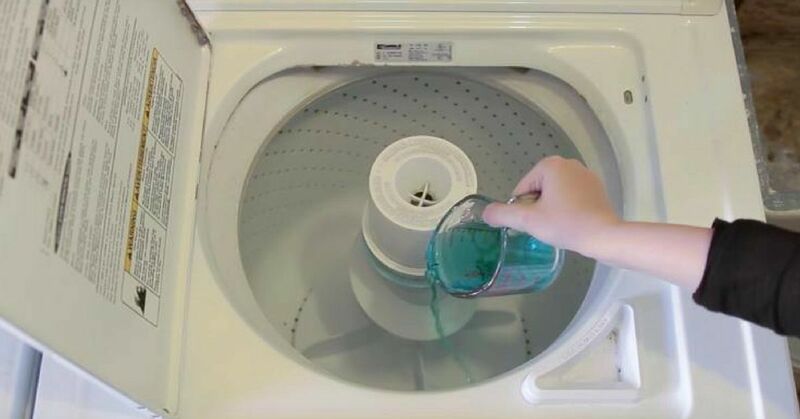 All it takes is one cup of mouthwash to get your washing machine nice and fresh again. You just want to make sure your mouthwash does not contain artificial colors. 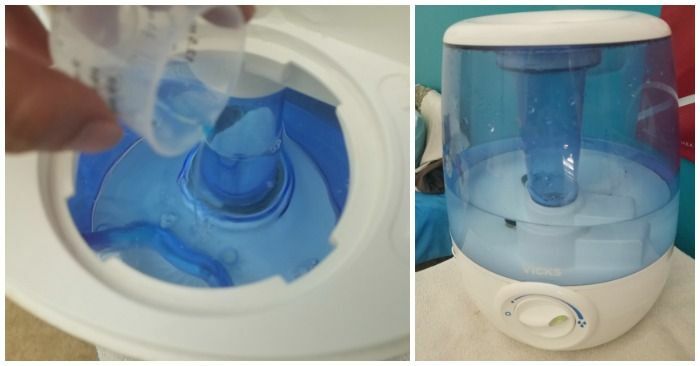 Your humidifier needs cleaning to stay fresh and keep you healthy. But how to safely clean it? 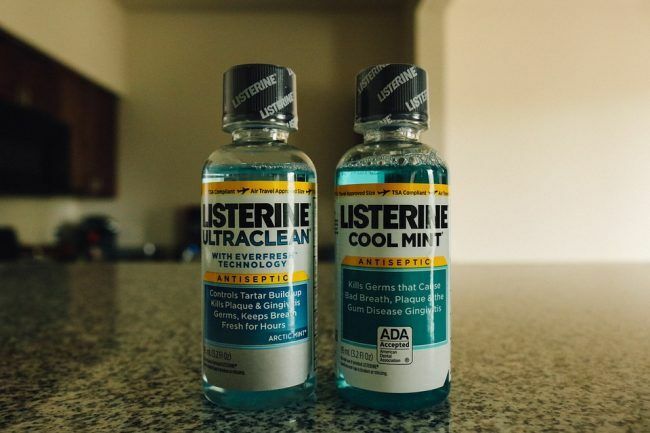 One Crazy House adds 1-2 tablespoons of mouthwash every couple of weeks to disinfect it. As an added bonus, it will make your house smell minty fresh. Are your feet rough and calloused? Listerine mouthwash makes an excellent foot soak for softening and exfoliating your toes. 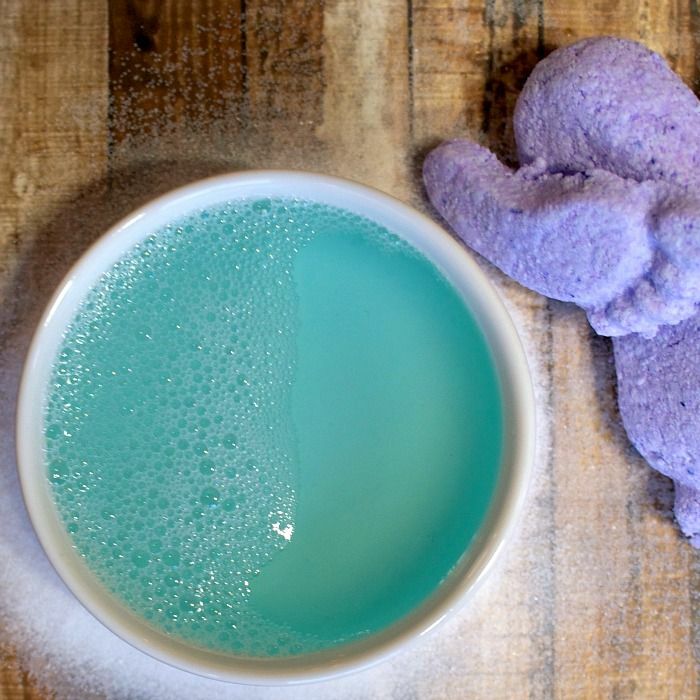 Nerdy Mamma combines it with vinegar, salt and essential oils to boost the exfoliating powers. You don't have to reach for expensive bug sprays to keep mosquitos from eating you. All you need to do is mix blue Listerine, beer and Epsom salt. 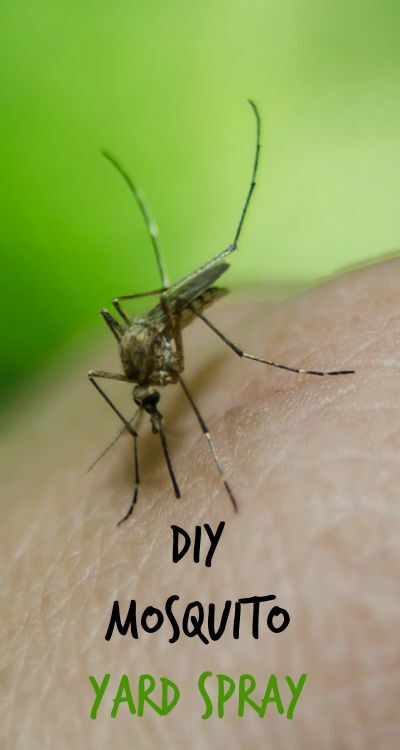 Spray it around you, in your yard and on your deck to keep mosquitos away. 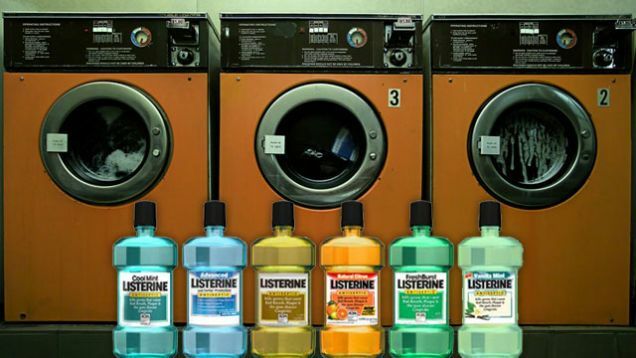 One of the most common "off label" uses for Listerine is as an itch reliever. Any mouthwash with alcohol will help you stop itching. Buzzfeed recommends using it on poison ivy rashes to help dry them out for faster healing. If you have a male dog, you may have a bit of a problem with marking in inappropriate areas. Outside or inside your home, it's a smelly problem. Using Listerine mouthwash to spray marked areas will help eliminate the odor and stop your dog from marking there in the future. Mouthwash is useful in many different ways. The antiseptic qualities combine with a minty freshness to give you a versatile and budget-friendly solution for many problems. Share these mouthwash tips with your friends and family on Facebook!